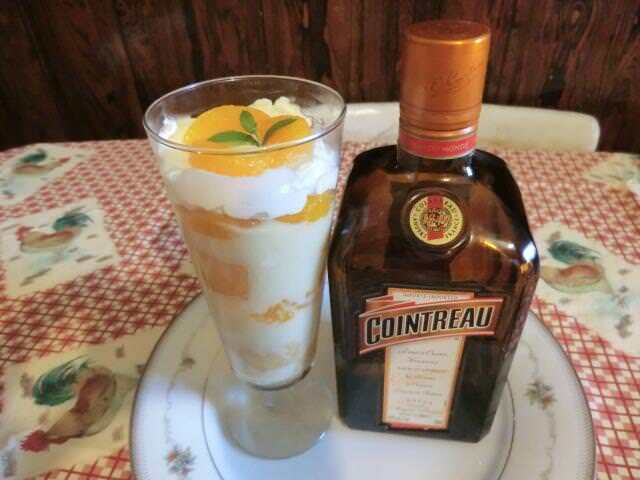 Mandarin Orange Trifle | Cooking is Fun … Really!! Cooking is Fun … Really!! I was in the mood for something sweet that didn’t involve chocolate and was fast to make. 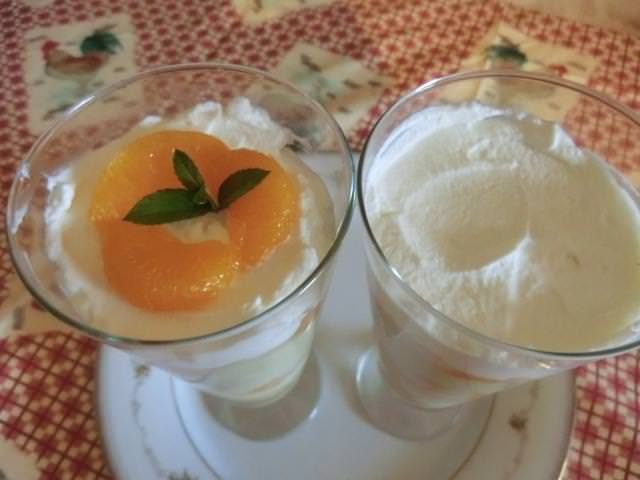 With a can of mandarin oranges from the pantry as well as a package of Savoiardi (Italian lady fingers) I came up with this creamy dessert. I didn’t have any instant pudding so I made my own using a basic vanilla pudding recipe spiked with a touch of orange extract. And, I scaled it down to serve two in the faint hope of watching my waistline. Set out 2 tall glasses for the assembly. In a small bowl, combine 6 tbsp of the syrup, from the can of oranges, with the liqueur. 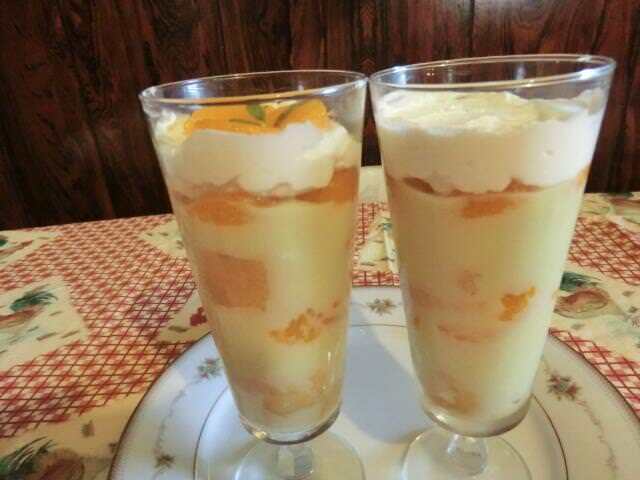 NOTE: I decided on TWO layers of biscuits, pudding and orange segments, topped with whipped cream and garnished with orange segments for each glass, so I divided the orange segments, by eye, into SIX relatively equal portions. The pudding was divided into FOUR x 1/4 cup portions. Break one of the biscuits into 3-4 pieces depending on the size of your glass, and place the pieces in the bottom of the glass. Drizzle one tablespoon of the syrup over the biscuits. Let sit for 3-5 minutes until all of the syrup is absorbed by the biscuits. Pour 1/4 cup of the warm vanilla pudding over the biscuits. Arrange one portion of the drained orange segments evenly over the pudding. Break a second biscuit into 3-4 portions and place over the orange segments. Sprinkle with the syrup as you did earlier and let sit a few minutes to allow the biscuits to absorb the syrup. Repeat for the 2nd glass. If you have any pudding left, divide evenly among both glasses. Arrange one portion of the drained orange segments over the pudding in each glass. Refrigerate overnight or for at least an hour before serving to let the pudding set and so that the biscuits will soften. Just before serving, whip the cream and sugar. 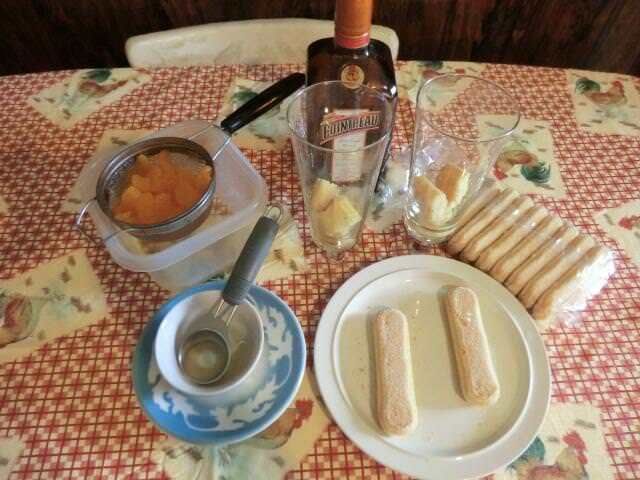 Spoon over each glass and garnish with the reserved orange segments. * I’m going to use the lesser amount next time. In a sauce pan, whisk together the cornstarch, sugar and salt. Add the rest (1/4 cup) of the milk and whisk. Place the saucepan over medium heat and cook, whisking constantly until the pudding starts to thicken and bubble. Remove the saucepan from the stove and spoon a tablespoon of the hot mixture into the lightly whisked egg yolk. Whisk together. 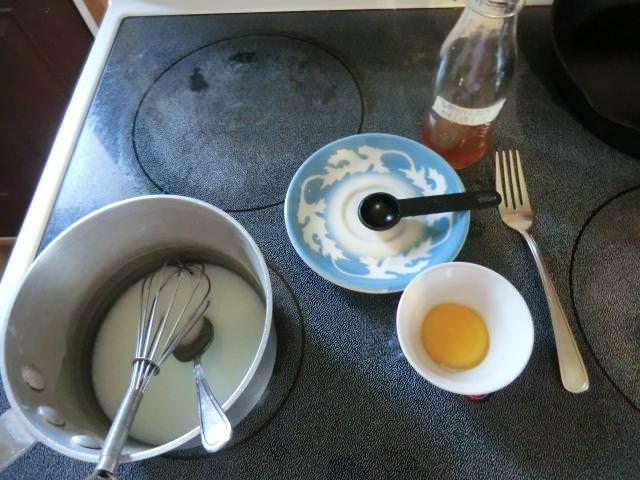 Add another couple of tablespoons of the hot mixture to the egg yolk mixture and whisk together. (You are tempering the egg yolk so that it doesn’t curdle when added to the remaining hot pudding mixture.) 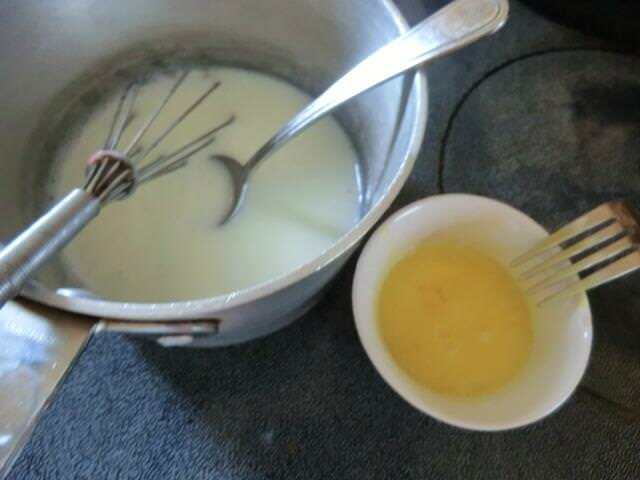 Add the egg yolk mixture into the pudding in the saucepan and whisk together. Return the saucepan to the hot element on the stove and keep whisking until the mixture is boiling. Cook for an additional minute. Remove the sauce pan from the heat and turn off the element. You’re done cooking the pudding. Whisk in the butter or margarine and the vanilla extract, as well as the orange extract, if using. Spoon into two serving bowls and refrigerate. What a fun dessert!!! I love desserts like this but rarely make them. Thanks for inspiring me. Thank YOU for commenting. Cooking for one and trying not to deprive yourself of dessert is sometimes a challenge.